added Global Setup field "Print Total Weight On Packing Slip?" The default value is "Y." Previously, the total weight would automatically be printed on the packing slip. The total weight is a calculated number and may not match the actual weight of the shipment. 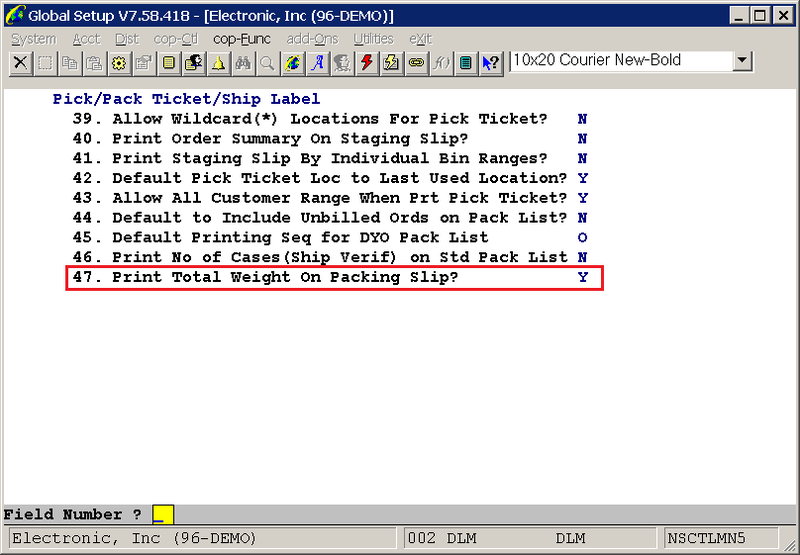 If this is causing problem for you, you can set this flag to "N"; then weight will not print on the packing slip.